As Emory Law prepared to celebrate its centennial year, Centennial planners invited members of the Emory Law community to nominate candidates for special recognition as one of 100 individuals who have made extraordinary contributions to the law school and the world at large. 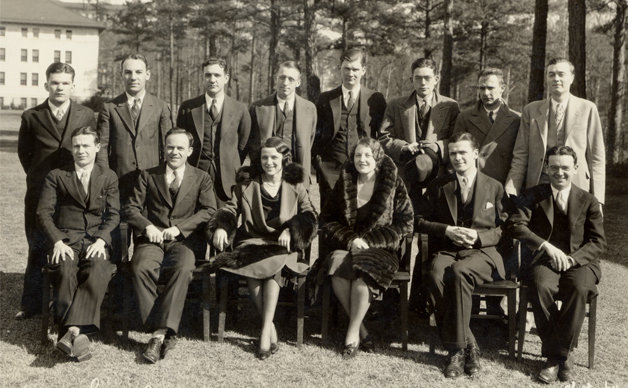 This group of notable men and women, nominated by a Centennial Advisory Committee consisting of faculty, staff, students, and alumni, represents the best of Emory Law’s story, both past and present. The list honors alumni and faculty for advancing the rule of law, making history at Emory or beyond, and significantly promoting the Emory or Emory Law community. Short biographies of The Emory Law 100 are presented in the Centennial issue of Emory Lawyer and on a special website created to honor these leaders. The honorees are presented in order of law school graduation year, and their blurbs share only a few of the accomplishments that led to these alumni and friends being honored at this singular moment in Emory Law history. These honorees will also be recognized at the Centennial Gala on April 29, 2017.